With its powerful 4.0-liter twin-turbo V8 producing 630 hp and 664 lb-ft of torque, the Mercedes-AMG GT 63 S 4-Door Coupe is undoubtedly one of the fastest four-door cars you can buy right now, but German tuner Performmaster clearly thinks there’s room for improvement. 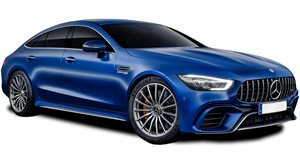 Dubbed the Performmaster Mercedes-AMG GT 63 S 4-door Coupe 1 of 31 Limited Customer Edition, the company’s latest project is, you guessed it, limited to just 31 examples to celebrate the aftermarket tuner’s 31st anniversary. Thanks to a PEC Tuning Module that connects directly to the AMG engine control unit, Performmaster has managed to transform the Mercedes-AMG GT 63 S 4-door Coupe into a 730-hp monster, while torque has also increased to 760 lb-ft. Yes, that’s more power than you get in the new Ferrari F8 Tributo. Mated to the same nine-speed automatic transmission and 4Matic+ AWD system, the modified engine allows the stylish four-door coupe to sprint from 0-62 mph in 2.9 seconds, making it 0.3 seconds quicker than the standard car. Top speed remains unchanged, however, at 196 mph. The increased performance is complemented with a custom aerodynamic package consisting of handcrafted carbon fiber parts including a front splitter, rear wing and diffuser painted either in body color or in high gloss black. Mounted on the original attachment points, the wing is said to improve stability and handling at high speeds on straights and in corners. Performmaster also offers a lowered adjustable suspension that is said to "noticeably” improve the car’s handling and driving dynamics. Inside, the interior modifications aren’t as comprehensive, with a subtle "1of31” plaque reminding you that this is no ordinary GT 63 S. Pricing details haven’t been announced, but the Mercedes-AMG GT 63 S starts at $159,995.